Dance companies from across the UK will come together for a major on-air and online celebration of dance on Friday 5 April. #DancePassion is a new dance festival organised by BBC Arts in collaboration with One Dance UK along with leading names and exciting new talent from across the dance scene. The day will feature 11 hours of performance, rehearsals and behind-the-scenes insights. All of the events in Leeds – featuring DAZL, RJC, Möbius Dance, Akeim Toussaint Buck, Phoenix Dance Theatre, Northern Ballet, DeNada Dance Theatre, and Gracefool Collective – will be hosted by Northern School of Contemporary Dance. At London’s Studio Wayne McGregor contemporary company Candoco Dance Company present a company class with their disabled and non-disabled professional dancers and invited guests. Candoco was founded by LCDS alumna Celeste Dandeker-Arnold. Company dancers include Toke Strandby and Fabian Jackson (NSCD). Company Wayne McGregor rehearse Autobiography, which is choreographed by Wayne McGregor CBE, and based on his own DNA and 25 year archive. Company dancers include graduates Jordan James Bridge, Fukiko Takase (LCDS), Jessica Wright (Central), and Jacob O’Connell (Rambert). Rambert presents a sneak peek of their brand new work by Marion Motin. Company dancers include graduates Sharia Johnson, Adam Park, Stephan Quildan, Kym Sojourna (Rambert), Pierre Tappon, Nancy Nerantzi (LCDS), Brenda Lee Grech and Jacob Wye (Central). This first of three Leeds performances is inspired by and honours 25 years of RJC Dance, founded by NSCD graduate Kathy Williams, and is presented by young people aged 9-12 years. A new commission by NSCD alumnus Jamaal Burkmar ‘Time Moves Slow’, performed by NSCD graduates Ana Fernández Melero, Stefania Pinato and current NSCD third year students Charlie Hogan and Iolanda Portogallo. Using his own journey of migration from Jamaica to the UK as a catalyst, NSCD graduate Akeim Toussaint Buck brings together dance, spoken word and song to tell a story that is both deeply personal and universal. Motionhouse performers demonstrate lifts and showcase the strength and physicality of their performers, notably their strong women. Artistic Director Kevin Finnan MBE and Rehearsal Director Junior Cunningham (NSCD) talk about how the dancers work together to execute a lift. Company dancers include graduates Martina Knight, Alasdair Stewart, Naomi Tadevossian (LCDS), Junior Cunningham, Daniel Massarella, Rebecca Williams, Aaron Watkinson, Joel Pradas, Beth Pattison (NSCD), Chris Knight (NSCD, LCDS), Shannon Kate Platt (Rambert), and Apprentice Rebecca Knight (NSCD). At Sadler’s Wells in London, Akram Khan Company invite you to check out the rehearsals for their new company production, Outwitting the Devil. Acclaimed choreographer and NSCD alumnus Akram Khan recently won a record eighth National Dance Award. Centred around schizophrenia, State of Mind explores the status of our consciousness, our perception of our intuition and the outside world and how it affects our actions, behaviour and body movements. The work is choreographed by Douglas Thorpe and performed the youth dance company of ACE dance and music, founded by NSCD alumna Gail Parmel. Dancers from English National Ballet rehearse Annabelle Lopez Ochoa’s Broken Wings. Company dancers include graduate Sarah Kundi (Central). Get an insight into studio activity in Leeds as Phoenix Dance Theatre’s company dancers rehearse contemporary dance piece Left Unseen by Amaury Lebrun. This is a unique opportunity to hear from the Company’s Artistic Director, Sharon Watson (LCDS and NSCD). The piece was originally commissioned by Northern School of Contemporary Dance. Company dancers include graduates Vanessa Vince-Pang (Rambert), Carmen Vazquez Marfil (CSB, NSCD), Natalie Alleston (Rambert, NSCD), and Apprentices Jasmine Gordon, Frances Shepherdson, Elliott Augustine (NSCD). In Swansea see NDCWales dancers and local Ospreys Rugby Club in rehearsals for NDCWales’ new production. Company dancers include graduates Ed Myhill, Mathew Prichard (Rambert), and Apprentice Aisha Naamani (LCDS). After experiencing a career-threatening injury, Commonwealth Games Handover choreographer and LCDS alumna Rosie Kay was drawn to the parallels between soldiers’ and dancers’ training, and the commitment, discipline and strength required. Ahead of the premiere of 10 SOLDIERS at Birmingham Hippodrome in May see the dancers perform whilst Rosie discusses her ideas. In a second Leeds trilogy choreographer and Central alumnus Kenneth Tindall creates a contemporary ballet duet for Northern Ballet’s Ayça Anil and Harris Beattie (Central) in response to Ella Eyre’s version of We Don’t Have to Take Our Clothes Off. DeNada Dance Theatre is a UK-based dance company that exports, explores and subverts Hispanic and Latin culture in Britain and beyond. In this session they present an in rehearsal excerpt from their new show Mariposa, a transgender tragedy inspired by Puccini’s Madame Butterfly. It is choreographed by the company’s director and NSCD alumnus Carlos Pons Guerra. Company dancers include graduates Marivi Da Silva (NSCD) and Antonette Dayrit (Central). Using their unique concoction of wildly entertaining dance theatre, NSCD graduate company Gracefool invite YOU to be guests at the non-wedding event of the year as they attempt to come to terms with coming of age in a high pressure, low tolerance, zero hour contract society. Four bridal-clad women attempt to entertain, delight and maintain their dignity in a desperate last ditch effort to work out what the hell it all means. For the big day, tune in LIVE on Facebook from the Glasgow dressing rooms of Scottish Ballet’s Spring! tour. Meet the dancers as they prepare to go on stage. Company dancers include Central graduates Thomas Edwards, Jamiel Lawrence, Aisling Branagan, Amy McEntee, and Rishan Benjamin. Katherine Kingsley (BOVTS) stars in Top Girls at the National Theatre, now running until 22 June. Charlie Cox (BOVTS) stars in Betrayal at the Harold Pinter Theatre, now running until 8 June. Alleyne Dance – Kristina Alleyne and Sadé Alleyne (NSCD) – present The Other Side of Me at The Place on 3 April. Russell Maliphant Company tour Silent Lines this month to Dance East, DanceXchange and Lakeside, with company dancers Alethia Antonia (LCDS/NSCD), Folu Adimayo (NSCD), Edd Arnold, Grace Jabbari and Will Thompson (Rambert). Aletta Collins (LCDS) is Choreographer for West Side Story at the Royal Exchange, Manchester, running 6 April – 25 May. Phoenix Dance Theatre tour a Double Bill this month to Poole and Doncaster, with company dancers Vanessa Vince-Pang (Rambert), Carmen Vazquez Marfil (Central/NSCD), Natalie Alleston (Rambert/NSCD), and Apprentices Jasmine Gordon, Frances Shepherdson and Elliott Augustine (NSCD). National Dance Company Wales tour Awakening this month to Swansea, Huddersfield and Aberystwyth, with company dancers Ed Myhill, Mathew Pritchard (Rambert) and Apprentice Aisha Naamani (LCDS). English National Ballet present a Triple Bill at Sadlers Wells, 4 – 13 April, with company dancer Sarah Kundi (Central). Living Room Circus (NCCA) present The Penguin and I at The Loco Klub Bristol on 11 April. Northern Ballet present The Shape of Sound choreographed by Kenneth Tindall (Central) at Newcastle Northern Stage from 16 – 18 April. John Leonard (BOVTS) is Sound Designer for Other People’s Money at the Southwark Playhouse, running from 17 April – 11 May. Nora Invites – Eleanor Sikorski and Flora Wellesley Wesley (LCDS) – present Where Home Is at Sadlers Wells, 24 – 25 April. Maanuv Thiara (BOVTS) features in the highly anticipated new series of Line of Duty, now airing Sundays at 9pm on BBC One. Bringing together four years dedicated to redefining the boundaries of conservatoire training, simultaneous performances of Otis and Eunice were performed to audiences at both Bristol Old Vic Theatre School and the Royal College of Music on 29 and 30 March. Otis and Eunice was the culmination of the Virtual Conservatoire project, committed to creating new potential for live performance and performing arts collaboration. The project has been an ambitious four-year collaboration between Bristol Old Vic Theatre School, Central School of Ballet, London Academy of Music and Dramatic Art (LAMDA), Royal Academy of Dramatic Art (RADA), Royal Academy of Music (RAM) and Royal College of Music (RCM). The project has been backed by HEFCE / Office for Students Catalyst Fund. Created with immersive theatre makers Raucous, Otis and Eunice is a modern retelling of Orpheus and Eurydice featuring actors from RADA, LAMDA and Bristol Old Vic Theatre School, dancers from the Central School of Ballet, and music written and performed by RCM and RAM musicians. The production was performed as two different standalone shows. Staged simultaneously at the RCM’s Britten Theatre and the Bristol Old Vic Theatre School, the shows were linked through dual narratives concerning the disappearance of Eunice. Audiences in each venue were also able to see the partner narrative unfold onscreen, through a live high definition video link using Low Latency (LOLA) technology. ‘The process for making Otis and Eunice followed an unknown path. Trying to write a meaningful script that encapsulated live streaming, while working between six partner organisations, in two cities while engaging over 50 students was, to put it mildly, a challenge. The main challenge for me as a writer, though, was how to knit together two different stories that collided through live streaming and ended up making sense to both audiences. Then I needed to work out how to introduce original composition, dance and musicians to an already complicated play. All within a matter of months. The composers, working to a pretty strict brief from me, weaved their magic into original songs and score, the technical team problem solved this behemoth of a project with great humour and superb ingenuity, the performers just got stuck in and started to play as soon as the script was in their hand, the ingenious designers and directors, all lecturers, were stalwarts in making the pieces fit and making me laugh when the going got mind-bendingly complicated. Over the last four years, conservatoire facilities have been transformed into state-of-the-art digital spaces that enable creative collaboration between the consortium’s students and partners across multiple locations, in real time. 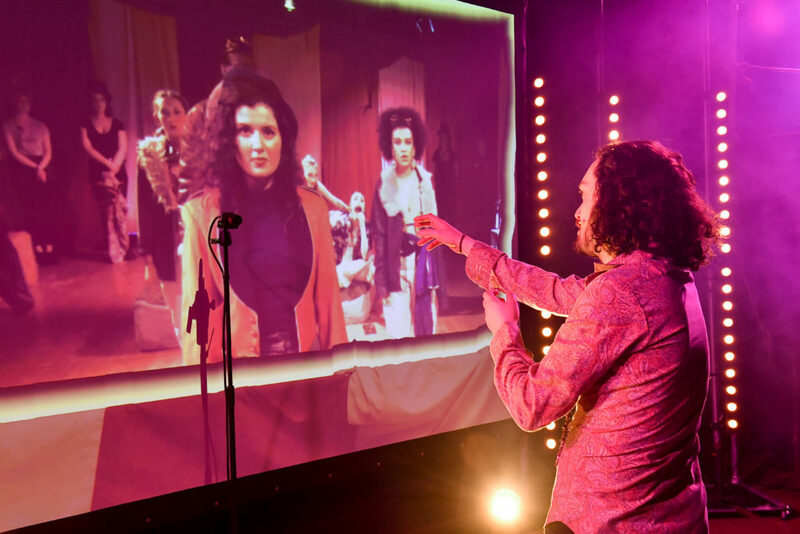 The result is a new template for conservatoire training, which pioneers digitally enabled pedagogy and practice, and the scope to transform live performance art into a multi-location experience. Hear more about the theatre-making process behind the show in the trailer, featuring interviews with Bristol Director, Technical Producer and the cast. Congratulations to Bristol Old Vic Theatre School alumnus Alex Jennings, who has been nominated for a BAFTA Television Award for Supporting Actor for his role in ITV’s Forgotten. Jennings is a three-time Olivier Award winner and the only person to have won three Best Actor Olivier Awards for Comedy (Too Clever by Half in 1988), Drama (Peer Gynt in 1996) and Musical (My Fair Lady in 2003). In 2017 he received an Honorary Doctorate from the University of the West of England, presented by Professor David Halton, Chair of Trustees for Bristol Old Vic Theatre School at the School’s graduation ceremony at St Mary Redcliffe Church, Bristol. The BAFTA Television awards ceremony will take place on Sunday 12 May. You can find the full list of nominations on the BAFTA website. 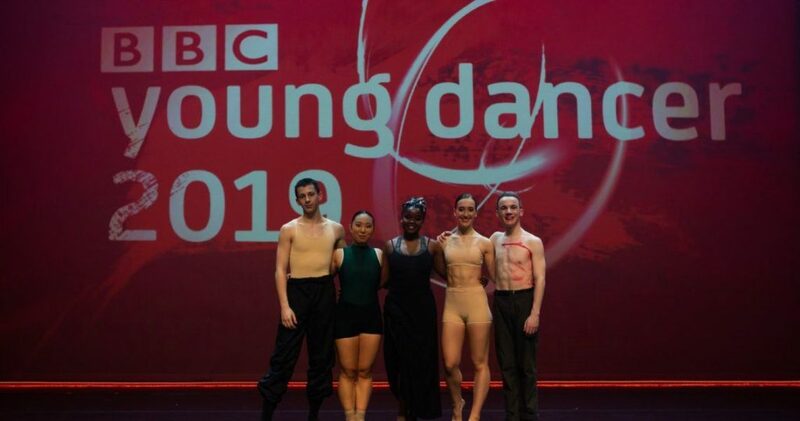 We are delighted that six Conservatoire dance students have been announced as category finalists for BBC Young Dancer 2019. The prestigious competition searches for the country’s most talented dancers aged 16-21, and twenty contestants now remain to compete in the four Category Finals; Ballet, Contemporary, South Asian Dance and Street Dance. 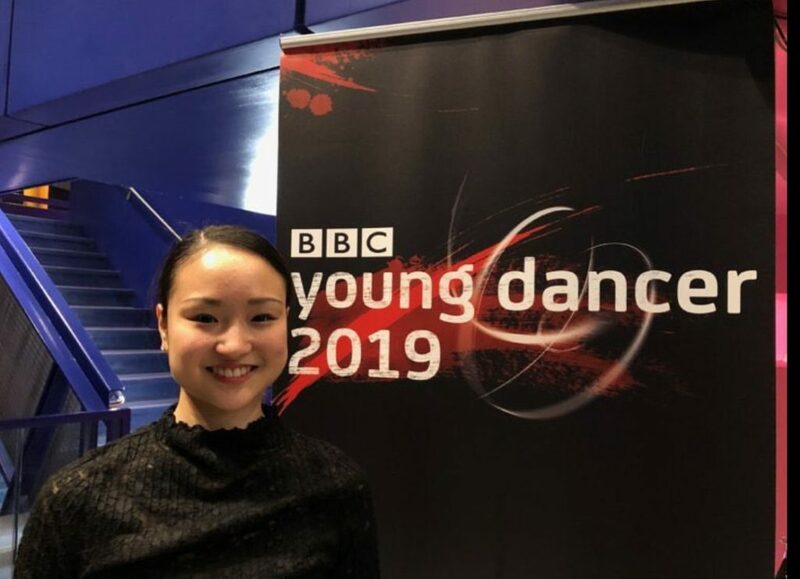 Keiko Tsuchiya, a second year student at Central School of Ballet, has been shortlisted as a Finalist in the Ballet Category. Max Revell, a second year student at Northern School of Contemporary Dance, has been shortlisted as a Finalist in the Street Dance Category. Courtesy of BBC Young Dancer. L-R: Max Revell (NSCD), Christian Griffin, Kate Morris, Louie Juster and Thomas Carsley. In the Contemporary Dance category, four of the five Finalists are currently training at Conservatoire schools: first year student Hana Kato at London Contemporary Dance School, second year student Adanna Lawrence at Northern School of Contemporary Dance, and third year student Max Cookward and second year student Matthew Rawcliffe at Rambert School. 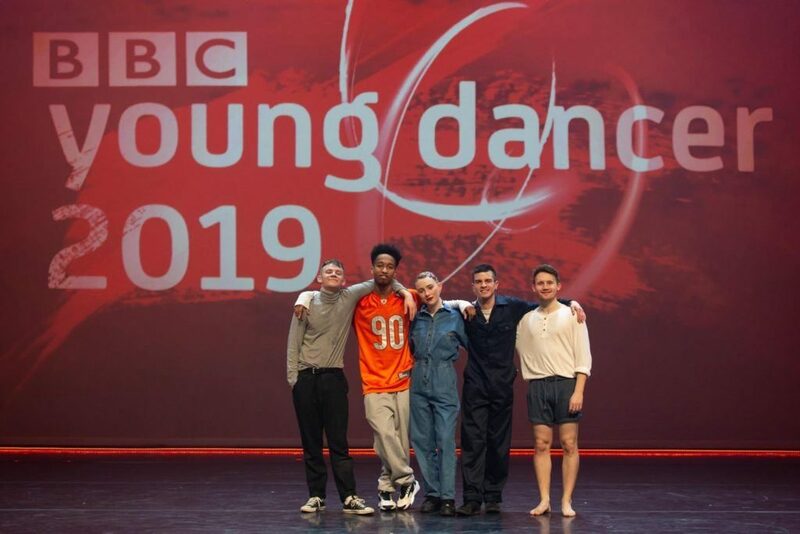 All of the students will be mentored by leading dance professionals in preparation for the BBC Young Dancer 2019 Category Finals. The Category Finals will be broadcast on BBC Four weekly from the 19 April. These episodes follow the young dancers behind the scenes as they prepare for their performances with the help of teachers and mentors. Presented by Ore Oduba and Anita Rani, the Grand Final will be broadcast on BBC Two on the 18 May live from Birmingham Hippodrome. The overall winner of the competition receives a trophy and a £3,000 cash prize to help further their dance education. Finalists also receive confidential, bespoke career transition support and aftercare courtesy of Sadler’s Wells. Nominations for the Olivier Awards 2019 were announced today and we are delighted to see alumni from Bristol Old Vic Theatre School and Northern School of Contemporary Dance recognised in the nominations across four categories. Robert Hands (BOVTS) is nominated for Best Actor in a Supporting Role in a Musical for his performance in Come From Away at the Phoenix Theatre. Malcolm Sinclair (BOVTS) is nominated for Best Actor in a Supporting Role for his performance in Pressure at Ambassadors Theatre. Bob Crowley (BOVTS) is nominated for Best Set Design for The Inheritance at Young Vic and Noël Coward Theatre. Following a record eighth win at the National Dance Awards last month, NSCD alumnus Akram Khan is nominated for Outstanding Achievement in Dance for his performance in XENOS at Sadlers Wells. For the full list of nominations, take a look at The Stage website. The awards ceremony will take place at the Royal Albert Hall in London on 7 April. Good luck to all the nominees! Central School of Ballet has announced the commencement of works for the bespoke fit-out of their new premises in London’s flourishing arts community on the South Bank in Southwark following a successful fundraising campaign. This is a £9million project that involves the full relocation of the school to its new premises including the fit-out of the building. In March 2017 Central announced a campaign to raise £6million to finance the development and now, less than two years later, under £1million is required for the final stages of the Paris Gardens building. Support to date has come from individuals, major Trusts and Foundations and from two loans; £3million from Southwark Council and £600,000 from the Arts Impact Fund. Fundraising continues in earnest to repay the two loans. Students on Central’s undergraduate and postgraduate degree programmes will begin using the new South Bank premises during the academic year 2019/20. The new Paris Gardens premises will feature amenities to rival dance training facilities anywhere in the UK; seven studios, a fully-equipped studio theatre, study and resource centres. The fit-out will include a state-of-the-art health suite providing psychology, nutrition, physiotherapy, Pilates and recovery from injury programme. The aim is to become a hub for a dynamic dance community combining excellence in dance training for those aiming for a professional career and a programme of opportunities for the local Southwark community. Central currently runs a thriving community at its current premises in Clerkenwell. Over 1,200 people use Central’s facilities each week; from students training for a professional career in dance to children taking their first steps in ballet and adults using dance to improve fitness and wellbeing. The new premises in the South Bank will over the next five years allow the school to offer dance classes to thousands more in the Southwark area and give the local community opportunity to see and take part in dance and other performances in the new Studio Theatre alongside a range of other programmes in the building. Joanna Riding (BOVTS) stars in Follies at the National Theatre, playing until 11 May. Richard Alston Dance Company tour this month to Sadlers Wells, Octagon Theatre Yeovil, Exeter Northcott and Virginia Arts Festival, with company dancers Ellen Yilma (LCDS), Jennifer Hayes (NSCD), Monique Jonas, Nicolas Shikkis, Melissa Braithwaite and Jason Tucker (Rambert School). Stuart Waters (NSCD) presents Rockbottom, touring this month to Brighton Marlborough Pub & Theatre, Oxford Old Fire Station and Prema Arts Centre. BalletBoyz present Them/Us at Sadlers Wells from 5 – 9 March, with company dancers Benjamin Knapper, Bradley Waller (Rambert) and Liam Riddick (LCDS). James Cousins (LCDS) presents Epilogues at The Place from 6 – 8 March. The company features dancers Lisa Welham (NSCD), Chihiro Kawasaki, Gareth Mole (LCDS) and Georges Hann (Rambert). Natalie Reckert (National Centre for Circus Arts) features in A Taste of Berlin at Jacksons Lane on 7 March. Rudolphe Mdlongwa (BOVTS) features in Barber Shop Chronicles, at Royal Exchange Manchester from 7 March and then on tour. Alexander Mushore (BOVTS) features in the RSC’s The Taming of the Shrew, at the Royal Shakespeare Theatre, 8 March – 31 August. Northern Ballet are on tour with Victoria from 9 March – 1 June. The company features Central School of Ballet graduates Rachael Gillespie, Ashley Dixon, Hannah Bateman, Harriet Marden, Harris Beattie, Ayca Anil, and Apprentices Matthew Morrell and Julie Nunes. Ballet Black perform at the Barbican from 14 – 17 March, with a programme including choreography by company dancer Mthuthuzeli November (Central), Martin Lawrence (LCDS), and Sophie Laplane, current student on the MA Choreography at Central School of Ballet. Erin Doherty (BOVTS) features in Wolfie at Theatre503 from 20 March – 13 April. The Place presents an evening with LCDS alumnus Anthony Van Laast on 21 March. Patfield & Triguero (National Centre for Circus Arts) present Gibbon at Jacksons Lane on 27 March. Billy Howle (BOVTS) features in BBC Two drama MotherFatherSon, now airing Wednesdays at 9pm. Congratulations to Northern School of Contemporary Dance alumnus Akram Khan, who has won a record eighth National Dance Award for his performance in XENOS. The Critics’ Circle National Dance Awards for 2018 were presented this month at a ceremony in London’s Barbican, hosted by Mbulelo Ndabeni and Cira Robinson. Conservatoire school graduates received ten nominations across six categories for this year’s awards, with Akram Khan receiving the award for Outstanding Male Modern Performance. For the full list of this year’s winners, visit the London Dance website. The Conservatoire is delighted to congratulate Bristol Old Vic Theatre School alumna Olivia Colman, who has been awarded the Oscar for Best Actress for her performance in period comedy-drama The Favourite. Coming just weeks after her Golden Globe and BAFTA triumphs, Olivia again won over press and viewers alike with her unique style during her acceptance speech, which can be watched in full on ABC Network’s YouTube channel. The Favourite has won widespread praise from film critics and also picked up several BAFTA and Golden Globe awards. Set at the opening of the eighteenth century, Olivia plays the eccentric Queen Anne, supported by a stellar cast of Emma Stone and Rachel Weisz who play cousins vying for the Queen’s affections. Olivia became a household name for her supporting role in Channel 4 comedy Peep Show (2003 – 2015) followed by a starring role in ITV’s Broadchurch (2013 – 2017). She also stars in the much-anticipated upcoming season of Netflix’s The Crown, where she takes over the reins from Claire Foy to play Queen Elizabeth II. Remarkably for the School, fellow alumni Josh O’Connor (God’s Own Country; The Durrells) and Erin Doherty (Call the Midwife) also play leading roles in the forthcoming drama as Prince Charles and Princess Anne, respectively. Perhaps even more extraordinarily, all three have recently appeared together in BBC’s Les Misérables.